Earlier this month, we reported an issue with both Chrome Beta and Dev on Nougat. 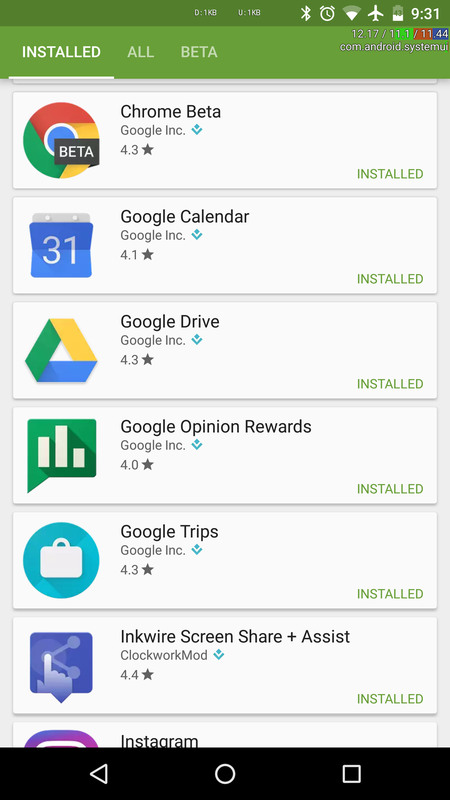 Despite both apps being installed on your phone, they didn't show up in the list of My apps & games in the Play Store, which meant that they were never automatically updated and you had to manually search for them, open their listing, and then see if an update was available or not to download it. The issue, as we rightfully suspected, was related to the change of the signature keys in Chrome. As Googler Alexander Mineer explained to us in the comments on the original post, the keys had to be changed due to Chrome's new ability to act as a WebView provider in Nougat. 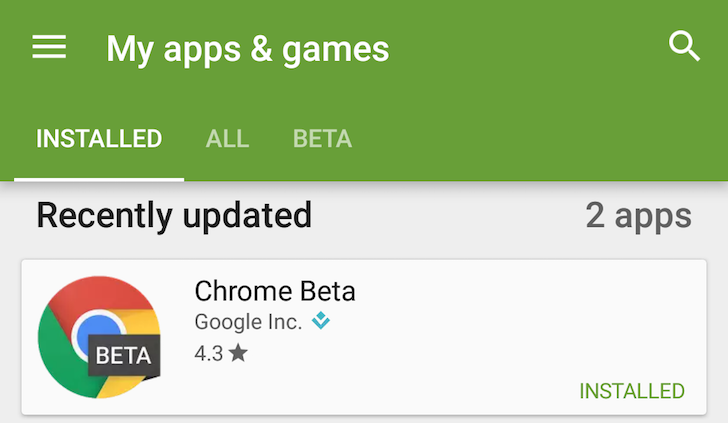 And one of our theories panned out: the issue wasn't with Chrome Beta or Dev per se, but with the Play Store that hadn't caught up with the change and thus wasn't associating the installed apps with their official listing properly. Now it seems that the problem has been fixed. 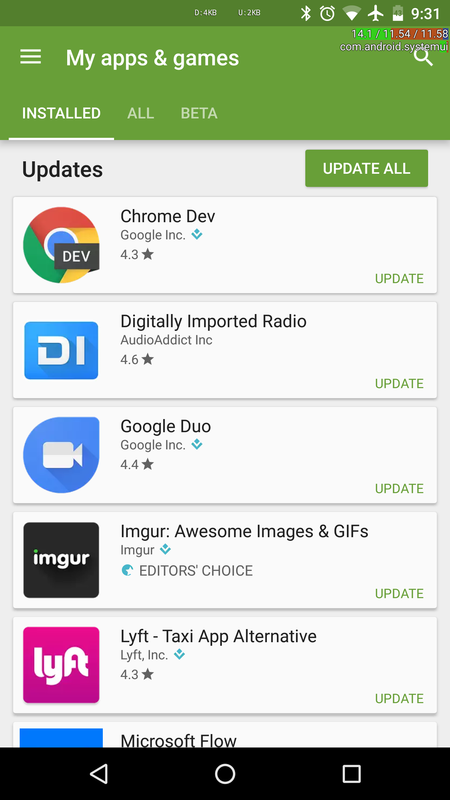 If you're on Nougat and running the newer version of the Play Store (manual APK download here), you should be seeing Chrome Beta and Dev properly in your My apps & games. 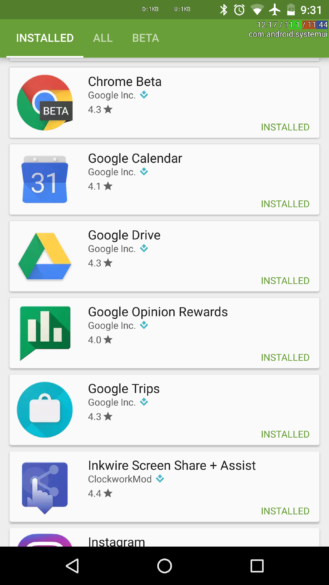 This also means that the apps will update properly like all your other apps. Woot! We're always happy when there's one more bug squashed or issue fixed.